and I apologize if this is your photo, I found it on google so if you want me to credit you or take it down please let me know! Hi! Very quick question. I found a Banpresto Arcanine UFO Catcher plush for $120 shipped online. Is this price fair? I've previously seen them go for around $75-80 before, but I rarely see them pop up, so should I go for it for one of my big wants? As i was in japan i did a short video take of th pokemon center off my i-phone. i'm sorry if the video is fast nor great but i wanted to share this with everything and see what is going on at the pokemon center. Hi everyone, since I've started to become more active in the community I figured I'd introduce myself. My name is Lari and I've been collecting since about 2005. I've been stalking the comm for YEARS! (way before HG/SS came out) My favourite pokemon are: Eevee (and all of her evolutions of course! 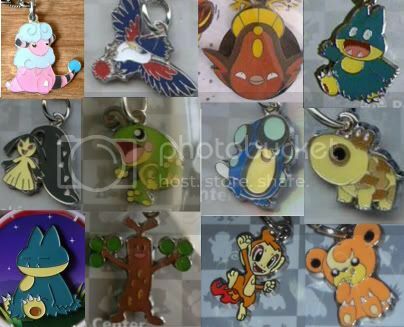 ), Lucario, Mew, Jigglypuff, Suicune, Ninetales, Pikachu, Venusaur, and and a ton of others! This week, we've got Servine! 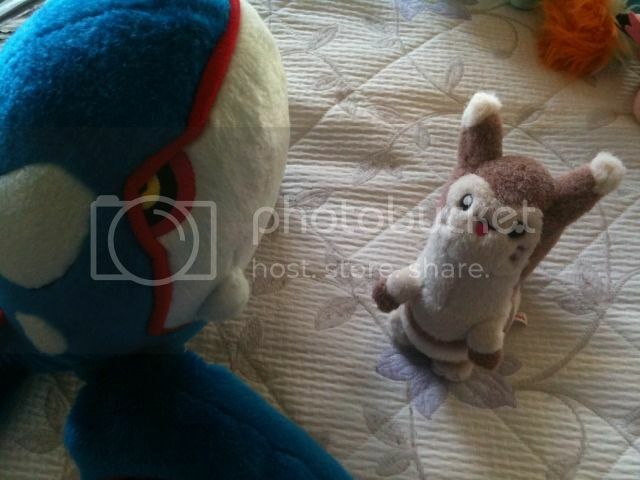 Also, after one hiccup after another, my Tomy Furret is still without a home! I've dropped the BIN price too, so if anyone's interested, take a look! I've really thought about it and have decided I'm really interested in collection oshawott, I've become really attached to it. :3 I'll really be looking to buy it now, but I have a question. 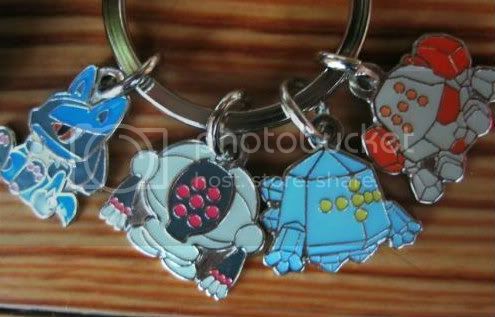 Secondly, is $4.00 shipped for regular and $7.00 shipped for oshawott kid/ attack kid a good price? I'm not really knowledgeable about these things.. 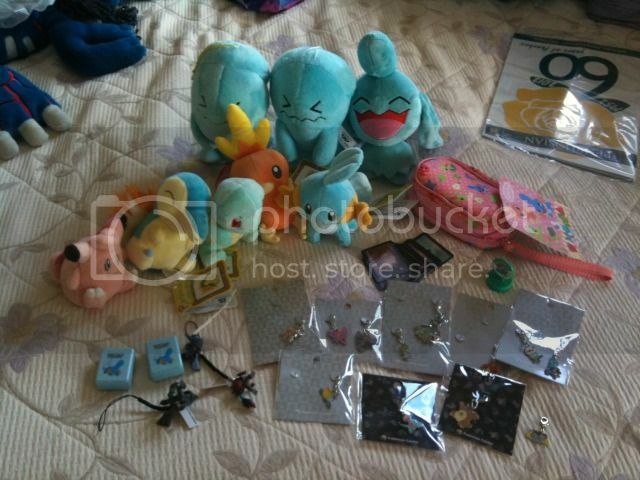 If you have decently priced oshawott items up for sale please let me know! Firstly! My name is Herar. c: I'm 20 years old! I live in Michigan (named the Upper Peninsula, I'm pretty sure I'm the only collector up north. xD). I'm a textile artist and I specialize in Pokemons because it is my entire life (no really.). When I first got here I didn't have much besides customs. Which I still love. 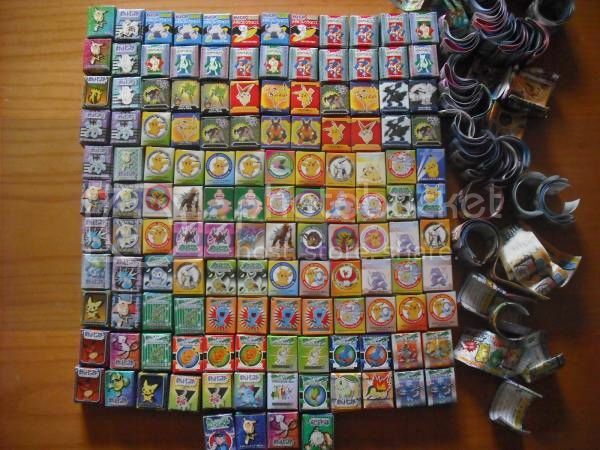 During the year I had began collecting, I went through phases of Pokemon. I collected: Drifloon, Slowpoke, Bulbasaur, Snorlax, Munchlax, Groudon, Kyogre, Sewaddle, Swadloon, Leavanny, Vanillite, Vanillish, and Vanilluxe. Not all at once, but. I tried things, collected them, loved them for a while and then moved on (while keeping atleast one piece from those I left behind). But enough chatter! Here's some pictures of my lovely collection. Hello pkmncollectors! It's been a while since I posted my collection, so I figured it's about time for an update! :) Last time I updated I focused on my Buizel collection, but this time I have new additions to my Zangoose, Seel line, Spheal line, and Oshawott line collections as well. There's lots of images under the cut! Let's take a look, shall we? I will be at work from 1:30-10 PM EST tonight, so feel free to drop some inquiries while I'm gone - It will take me until then to reply, however. 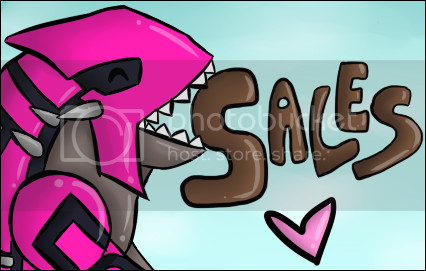 Legendary Tin <3 Sales and custom ! Oh my god, did you see these on Pokebeach ? Today I bring you some small auctions, including a Bidoof Pokedoll and a Leafeon Pokedoll and some rare clearfiles! Auctions end tonight at 11 PM EST. 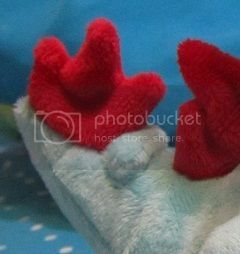 I've had this plush for a couple of months now, and the only place I've EVER seen it besides mine is on Pokeplushproject, and even they have no information on it. This isn't a price check or anything, I just need to know SOMETHING about him. I'm sure your wondering what the heck I'm talking about, so follow the cut for more info! Hello again PKMNcollectors! Hope you are all doing awesome! Today I come with a smallish collection update, a question, and some sales. I need everyone's payments! List of who bought things and need to pay/paid below the cut. Image Taken From Google - Don't worry, inside are my cards' images! PLEASE PLEASE PLEASE include the links of the cards you are after!!!! INCLUDE LINKS OF WHATEVER CARDS YOU WANT - this makes it less confusing for all of us! just a quick wants post. After playing SoulSilver I've become attached to the bear cub pokemon and was hoping to see if someone would be willing to sell the 2009 re-release pokedoll, preferrably with tags but would still consider tagless. I do know they're rare though, and would be willing to pay acordingly, or even do trades. Hey guys, just a quick reminder that my group auction for the metal figure lot will end tomorrow (June 10th) at 11pm PST. There are many rare second generation figures up for grabs as well as rare colour variants for many different generations. Update, kids sales, and did you win this lot? Hello community! Today I bring you a super exciting upate all its own, some kids sales, and a question regarding a recent Y!J lot! So let's start with the update, shall we!? I was bidding on this as well and I was only interested in the possibility of a feraligatr (any color) being in this lot. If you open them to reveal one, and you were not interested in it (or the feraligatr box that was in the lot as well) please PM me and let me know if we could work something out for it/them!! I would be willing to pay very handsomely for it/them, as the feraligatr metal figures are one of my top grails. Mostly doing this post because in exactly one month it'll be my birthday! Haven't decided how many things I'll buy myself, but up for trading too! And while I'm here, lets take a look at my recent gets! Some time this summer I have to do huge collection weeding, it's so hard deciding what to let go! I am so glad to be finally sharing my collection again haha. For a while its been scattered around my place as I gain new items (thanks bw.. just thanks) and just.. not well organised! Well it took about 5 hours and a bit of screaming and crying haha but it is now all together in one place and looking much better! Thank you for looking! I hope to make a sales post soon as I weeded out some figures, which include kids and zukan. Also to end this, a question. How many pokemon plush do you own? I would love to find the highest number! First post so I'm a bit nervous. Please tell me if I should change/fix anything or if I've done something wrong! Originally I was just going to post a want list but I figured I should introduce myself too. Eeeehh the title pretty much gives away the whole purpose of this post. Just wanted to remind you that my auctions for the Galvantula and Krookodile Retsuden magnets, Bulba line pan sticker and Mightyena Retsuden stamper end in about 14 hours! And to make this post less boring, I have another question for you! What does a complete collection mean to you? Did you achieve the "completion" of your collections or are you yet trying to achieve it? WHAT exactly are you trying to complete in your collection? Please take a look at this post for your total :). I made a post about it four days ago, and have PMed you :). I would like to get them by Monday, because I will be going to the post office and shipping out the rest of the participants packages. And please let me know if you'd like any added services such as delivery confirmation/insurance/tracking! I'll recalculate your total. Otherwise, you still have a few days to send payment, just please let me know, though! 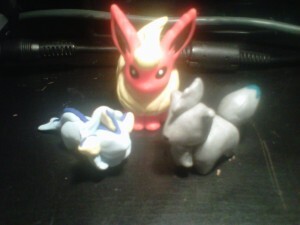 And here's a crappy cell phone image just to not make this post boring of two clay charms (and a flareon kid for size reference) I made of a shiny ninetails (I got the idea from someone on here, just don't remember who :o) and a vaporeon. I still need to paint their eyes. I'll take better pictures of them later >.> When I get my camera, and when my long-awaited package comes on Monday :D. So watch out for the new lati addition and my rearranged Plushie collection :3. I hope everyone is having a great weekend! 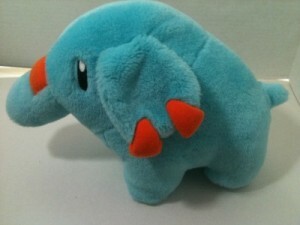 Edit: also does any one have this phanpy plush? My friend fell in love with phanpy, and I want to get a gift for her. She's been playing my Pokemon XD all day lol xD. Making new trainers err day. She isn't fond of pokemon, but she's around me all the time, and when she's around me all the time, well. Then she's around pokemon all the time as well :). There's two on eBay, but I just wanted to see if there is any one selling one here first ^^.